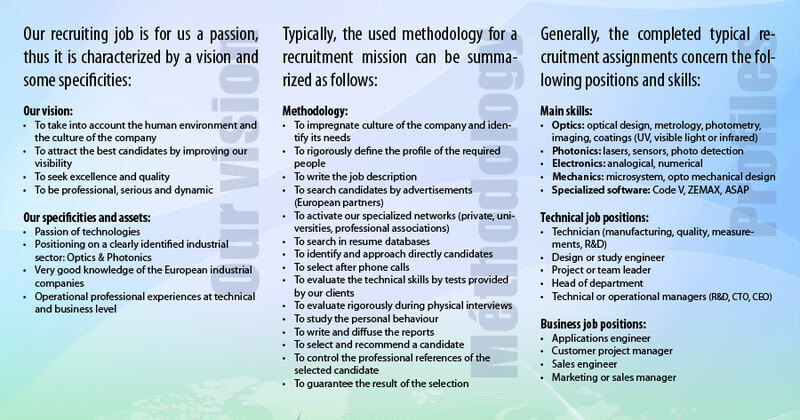 Houmault.com, a recruitment agency specialized in Optics & Photonics, works mainly for industrial companies based in Europe. Within the past few years, we have built a network with major actors of the sector and gathered a highly comprehensive set of competent candidates looking for new job opportunities. Our mission is to help you hire the best candidates as quickly as possible. Please contact us here, we together will find the best way to collaborate with your company.